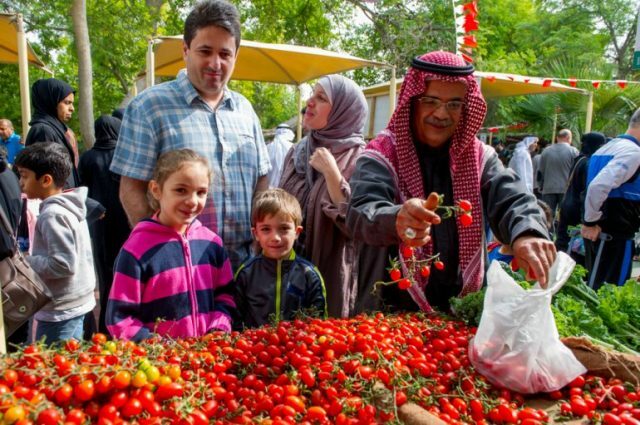 The Bahrain’s farmers’ market, according to organisers, now in its seventh edition, provides a platform for local farmers to sell their fresh produce. Thousands of people flock to the market which has got bigger and better every year. The five-month-long market, set up at the Agriculture Centre in Budaiya Botanical Garden, promotes Bahrain’s homegrown Agricultural produce and supports local farmers. More than 40 farmers are participating in the market this year. Apart from the Agricultural produce, it also features a section for traditional crafts, restaurants, and entertainment activities for children. The market, organised by the National Initiative for Agricultural Development in the co-operation with the Ministry of Municipalities Affairs and Agriculture and Urban Planning, has become extremely popular over the years with thousands visiting the market every week from December to April every year.